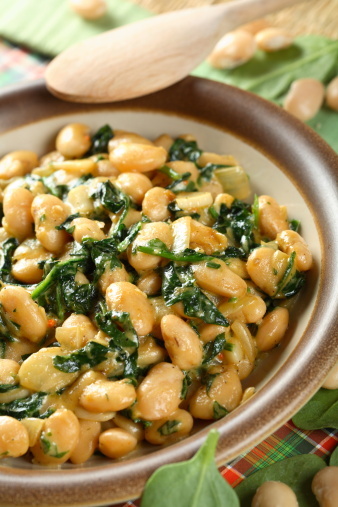 Spinach and white bean salad with sun-dried-tomato vinaigrette is a deliciously healthy summer salad. Serve up a bowl of fresh and say yes to loving your liver. In a jar or small bowl combine balsamic vinegar, mustard, and garlic and stir vigorously. Add olive oil, sun-dried-tomato, and basil to create a frothy dressing. In a salad bowl toss spinach, mixed greens, white beans, tomatoes, and olives. Add enough dressing to lightly cover the salad and toss again. Top with crushed raw cashews or Brazil nuts if desired.